Lawrence Bearden and David Nelson are the two newest members of the SAU Board of Trustees, both having been appointed by Governor Asa Hutchinson this year. late last year. The appointment expires in January 2016. 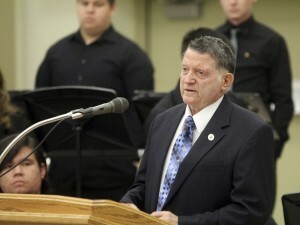 An active member of the University community over the years, Bearden earned a Bachelor of Business Administration degree from Southern State College (now SAU) in 1961. During his time as a student, he enjoyed participating in the basketball, baseball, and football intramural sports leagues. He was president of the Student Government Association during his senior year and was active in the Wesley Foundation. The foundation is where he met a young lady who would become his wife, the former Ann Oliver, also a 1961 SSC graduate. 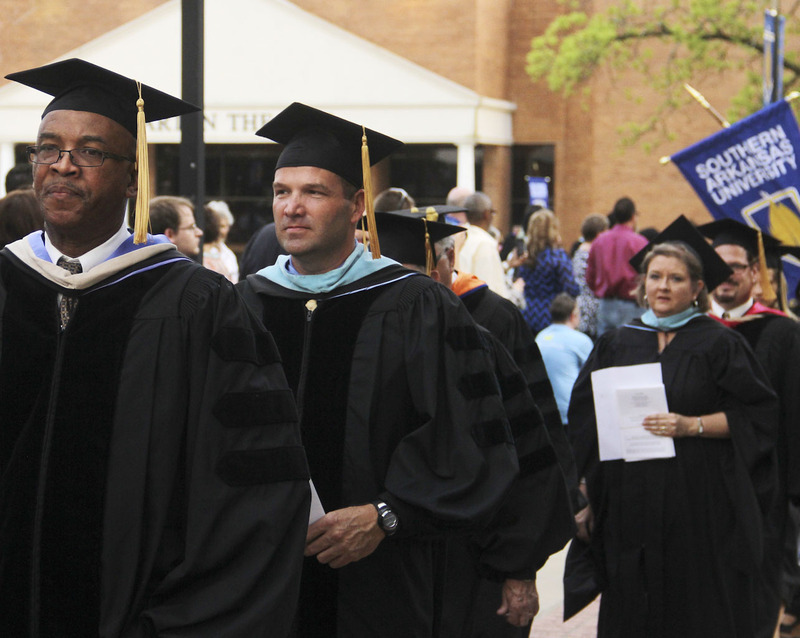 Outside his work with the University, Bearden has led a distinguished career. He served 28 years in the United States Armed Forces, retiring as a lieutenant colonel. He spent more than 20 years as an oil field production foreman, and he continues to work as an independent oil distributor. Nelson, SAU alum and Magnolia City Inspector, was appointed to the Board on January 30, 2015. Nelson was appointed to a five-year term. James Freeman’s term on the SAU Board expired January 14. Freeman, SAU alum and Dillard’s CFO, was also recently appointed by the Governor to serve on the Arkansas Economic Development Commission. He was originally appointed to the SAU Board to complete the term of Ken Sibley, who moved out of state. Nelson came to SAU from Springdale High School. He is a 1997 Ag Business graduate of SAU and has remained active in the University, including serving as president of the SAU Alumni Board of Directors. member of the Magnolia Police Auxiliary, and a member of the Republican Party.